Houston Motorcycle Accident Attorney - The Gerardo Cantu Law Firm, P.C. Motorcycle accidents are a frequent occurrence in Houston. While motorcycles are reliable transportation and great for gas mileage, when you are involved in a motorcycle ac cident, the injuries are often much greater due to the lack of protection they provide. Also automobile and truck drivers tend to be less respectful of motorcyclists. If you are involved in a motorcycle accident because another driver was intoxicated or being reckless, they very well could be held responsible for your medical bills and damages because it was their fault. If you have to go to the hospital, a trip to the hospital in an ambulance will cost in the range of $600 while a flight in a Care Flight helicopter can be significantly more expensive. Once you are treated at the hospital, the bills will continue to mount. You shouldn’t have to be responsible for the mounting medical bills for an accident that isn’t your fault. The Gerardo Cantu Law Firm, P.C. 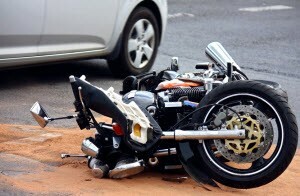 are Houston motorcycle accident attorneys who specialize in personal injury cases. The Gerardo Cantu Law Firm, P.C. are seasoned trial attorneys who know how to get the compensation you deserve. You can be compensated for medical bills, loss of wages because of your injury, insurance fees and property damage. If the injury is significant enough, it may cause you to lose your job. This will make it even more difficult to pay your mounting medical bills. Is it fair that you lose your job because of an injury that was caused by someone else? Of course it isn’t. Just because you drive a motorcycle doesn’t mean that you shouldn’t be shown the same consideration as other motorists. You shouldn’t have to worry about losing your job, home or savings because of mounting medical bills that aren’t your fault. You need someone that will be your advocate and give you the justice you rightfully deserve. The motorcycle accident attorneys at The Gerardo Cantu Law Firm, P.C. understand that as an innocent party to this accident, you deserve to be compensated by the person responsible for your situation. If you act quickly, you won’t have to worry about attorney’s fees, medical bills or loss of property. Don’t wait! If you can call immediately after the accident, The Gerardo Cantu Law Firm, P.C. can start working. If you can’t call immediately, make the call as quickly as possible to Houston’s premier Motorcycle Accident Attorney, The Gerardo Cantu Law Firm, P.C.. Call now for your consultation.